Who’s up when, where, against who? 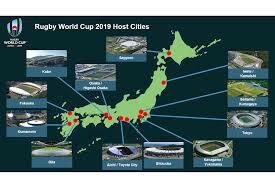 Still unsure of which teams will be playing in the Rugby World Cup 2019, Japan? When they will be playing? Who they will be playing? Where they will be playing? 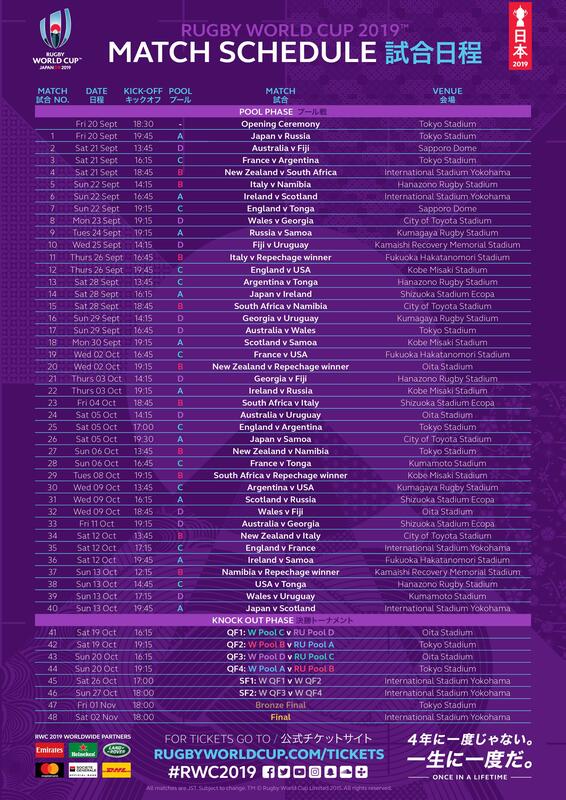 If you’re looking for your Rugby World Cup 2019 schedule, here it is! Taken straight from the official Rugby World Cup website. Which pool is your team playing in? Open the pool-side view in a new window. See the chronological table view in a new window. Where are the games hosted? 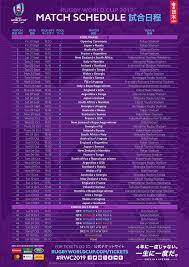 View the schedule, by city and stadium in a new window. 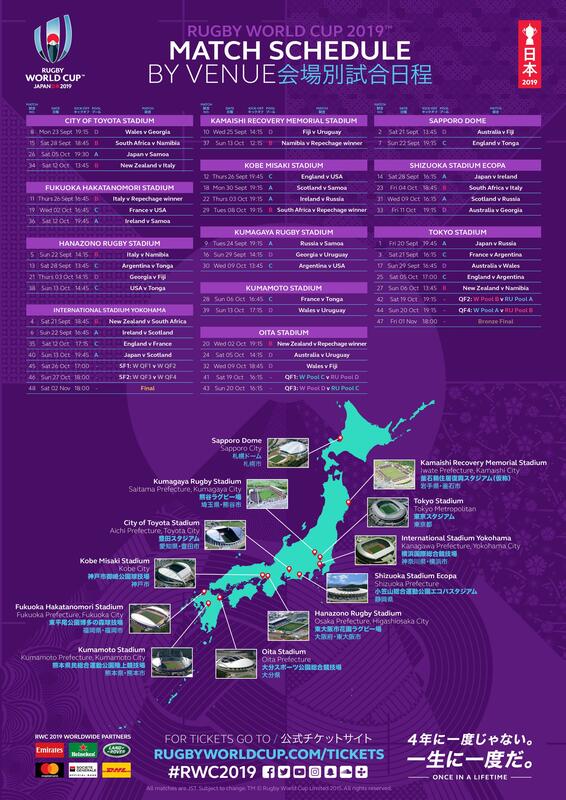 This is a cool one as it also lays it out for you in a map so that you know just how much of Japan you get to see by attending the biggest sports event in 2019. Whether you’re at home or traversing the length and breadth of Japan following your favourite team from venue to venue, you will be very much challenged in the planning of your viewing schedule. 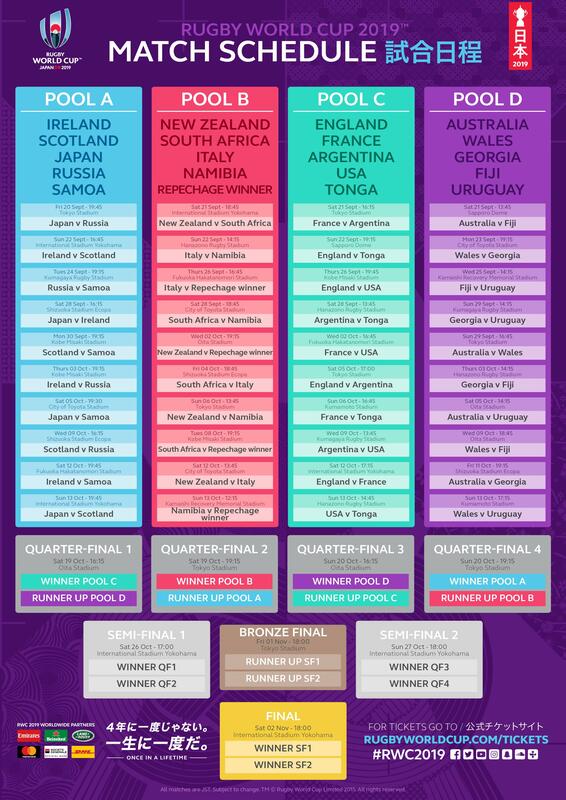 To best experience the phenomenon that is the Rugby World Cup, do not limit yourself to just the main matches. The overall feel can be best gained by attending some of the minor squabbles. 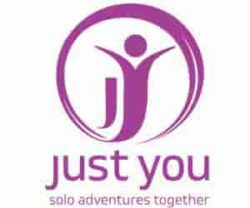 Rugby World Cup 2019 tickets – getting the best bang for your buck. 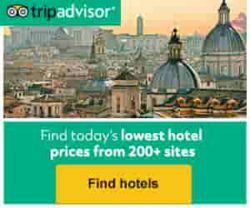 Rugby Union World Cup 2019 – it’s biggest problem and how to fix it. Minnows getting another chance at the RWC with repechange. Although I am a recent newcomer to enjoying rugby, I have been trying to find games wherever I could. In most of the games I find, they reference the Rugby world cup. I have been looking around for games in the recent future so this site has definitely been helpful in showing me how to find them. Thanks for the post! Glad to be of help! If you have any questions, just drop me a line.